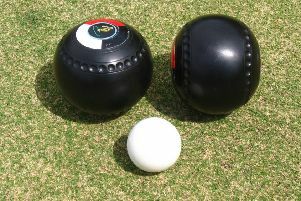 Postal have the chance to stamp their authority on Division 2 of the Alpha Trophies-sponsored Edinburgh Bowling League when the leaders travel to third-placed Wardie in tonight’s tenth round of fixtures in the 14-match campaign. The Postal record to date is an impressive eight wins out of nine and that has earned them a ten-point lead over Wardie, who sit five points adrift of second-placed Brunstane. With the race for promotion to Division 1 about to enter the final straight there is excitement in the respective camps as the two frontrunners have yet to experience life in the top echelon of the EBL. Brunstane entertain mid-table Dudley so look favourites to stay in the top-two picture while fourth-placed West End could enter the mix if they achieve a sizeable win away to foot-of-the-table Goldenacre. Summerside, who not so long ago were playing in Division 1, have suffered a major slump and are now in danger of returning to Division 3. They sit second bottom and will remain anchored in the relegation zone if they lose away to a Leith team fighting desperately to increase their single-point gap over tonight’s visitors. Mayfield and Whitehouse & Grange share the top spot in Division 3 and have the comfort of a seven-point cushion over third-placed Willowbrae. W&G will fancy their chances away to third-from-bottom Blackhall while Mayfield face stronger opposition but have the chance of increasing their promotion prospects at home to Willowbrae. Former Water of Leith League clubs Sighthill and Gorgie Mills are dominating the race for promotion in Division 5 and it is a similar story in Division 4 where Carrick Knowe, Bainfield and Colinton fill the top three positions. Sighthill have won eight out of eight and captured 68 points in the process to sit 17 points ahead of Gorgie Mills with both clubs well clear of the rest of the pack and tonight’s fixtures feature Sighthill away to Tramways and Gorgie Mills away to Trinity. Carrick Knowe are aiming to make it ten wins out ten when the former giants of the WOLL travel to take on fellow migrant club Bainfield in tonight’s meaty top-of-the-table clash. The total shots tally of the runaway leaders – 72 points to the 49 of Bainfield – is a spectacular 745 that makes them the highest of all five EBL Divisions. Third-placed Colinton sit one point ahead of Dean whom they entertain tonight. The Division 1 fixtures are headlined by second-placed Maitland at home to leaders Craigentinny while the others are Queensberry v Parkside; Tanfield v Pilrig, Northern v Hillside.